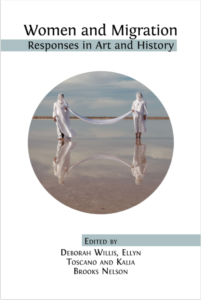 March 2019 saw the release of Women and Migration: Responses in Art and History, edited by Deborah Willis, Ellyn Toscano and Kalia Brooks Nelson. The book includes a piece by Kathy called “Migrations”. You can read and download the book for free here, but please consider purchasing a high-quality ebook or printed editions to support the not-for-profit initiative.